We still have a long ways to go until we see Black Friday deals return on Philips Sonicare toothbrushes. But as we wait, you can scroll down the page to check out the details from last year’s sales to get an idea of what’s likely to come. Enjoy! Updated on Sunday November 18, 2018: If it’s finally time to upgrade from a traditional toothbrush to a nice and fancy Philips Sonicare electric toothbrush, then we’ve got you covered! We’re again tracking all of the top Black Friday deals this year and will be updating this page from now through Thanksgiving weekend with all the best Sonicare deals we come across. Let’s take look at what we know so far. Philips Sonicare DiamondClean Smart 9300 Seres electric toothbrush with Bluetooth connectivity on sale for $159.99 after $40.00 mail-in rebate (normally priced at $259.99). It also comes with $45 in Kohl’s Cash — This is a fantastic offer and our top pick. Philips Sonicare FlexCare Classic on sale for $69.99 after $30 mail-in rebate (normally priced at $139.99). It also comes with $15 worth of Kohl’s Cash. Philips Sonicare Essence rechargeable toothbrush on sale for $19.99 after $5 mail-in rebate (normally priced at $49.99). Philips Sonicare Seres 2 Plaque Control dual-handle electric toothbrush on sale for $49.99 after $20 mail-in rebate (normally priced at $129.99). You’ll have two color choices, either black or white. All of these offers go live on Monday November 19, 2018 at kohls.com (online only). In stores you can shop the sale when doors open at 5:00PM on Thursday, Thanksgiving day (that’s on November 22, 2018). Just note that not all color combinations may be available in stores. See the ad posted below for full details. You’ll find the Sonicare Diamond Clean toothbrush featured in Sam’s Club Black Friday ad this year on sale for $139.98 ($60 off). Limit 3 per customer. Available in both black and rose gold. Free shipping is included if you buy it online. Item #980139817. Philips Sonicare Protective Clean 4100 power toothbrush on sale for $34.99 (that’s 40% off the retail price of $59.99). Three different colors are available. Philips Sonicare FlexCarePlus power toothbrush on sale for $74.99 (that’s 50% off the retail price of $149.99). Quantities are limited; no rain checks. Shop the sale at target.com beginning Thursday morning, Thanksgiving day, November 22, 2018. Stores open at 5:00PM in the afternoon on Thanksgiving day. The advertised prices in the ad are good November 22–24, 2018 but may go live earlier online. If you end up shopping at Target’s site then free shipping or in-store pickup is offered on most items sold on online. You’ll find a number of deals at Amazon’s Black Friday sale this year. Whichever Sonicare toothbrush model you decide on, it’s worth comparing the sale prices to those available right now at Amazon. On page 48 of Best Buy’s Black Friday ad this year you’ll be able to pick up the Sonicare DiamondClear Smart 9700 rechargeable toothbrush on sale for $229.99, savings you $100 off. We only found one Sonicare toothbrush in Shopko’s Black Friday ad this year (on page 60). It’s for the 4100 model, on sale for $34.99 (normally priced at $69.99). It’s available in either black or white. You can shop the sale at shopko.com beginning on Tuesday, November 20th (online only) and in-stores when doors open at 2:00PM on Thursday, Thanksgiving day. See the ad below for details. $50.00 off on Philips Sonicare Healthy While Rechargeable Toothbrushes (two-pack). $5.00 to $10.00 off at the register on Philips Sonicare e-Series or Optimal Clean replacement brush heads. Final sales prices is $24.99 to $29.99 per pack. Be sure to check out bjs.com for complete details. Off valid in-stores when they open at 7:00AM on Friday, November 23, 2018. Ends on November 26, 2018. Macy’s is offering 20% off + an extra 15% off on top of that on all Men’s grooming supplies. You’ll see on page 9 of Macy’s Black Friday ad that there is the Sonicare 2 Series featured. Be sure to check out their entire collection on Macy’s site to see what other models are included in the sale this year. You can pick this deal at macys.com all day on Thursday, Thanksgiving day. Free shipping is included this year during the event on web orders of $49 or more. Stores open at 5:00PM on Thanksgiving day and will remain open until 2:00AM. Then all locations reopen on Friday morning at 6:00AM with the sale running through 1:00PM in the early afternoon (or while supplies last). Meijer has the Sonicare Protective Clean 4100 Series Power Toothbrush featured on the 23rd page of their Black Friday ad this year. It’s on sale for $34.99. Shop the sale at Meijer starting at 6:00AM on Thursday, Thanksgiving day. Offers valid through store closing time on Black Friday (November 22—23, 2018) or “while supplies last” (no rain checks or substations if stocks run out). Which Sonicare electric toothbrush are you planning on picking this Thanksgiving weekend? Where will you shop? Let us know in the comments (you’ll find the comments section located at the bottom of this page). Updated on Sunday, November 19, 2017: If it’s time to replace your old toothbrush then get ready as another year of Black Friday deals on Sonicare are here. 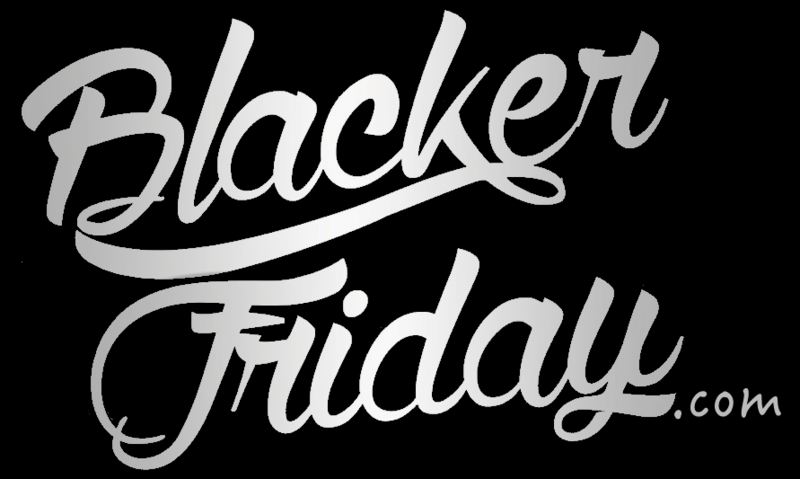 And you can count on us here at Blacker Friday to track them all! — Sonicare Essence on sale for $19.99 after $5.00 mail-in rebate (regularly priced at $49.99). You’ll also earn $45.00 in Kohl’s Cash with this purchase (if you’ve never used Kohl’s Cash before then you can learn about in on our main Kohl’s Black Friday 2017 page). — Sonicare for Kids Bluetooth Connected Rechargeable toothbrush on sale for $29.99 after $20.00 mail-in rebate (regularly priced at $69.99). — Sonicare DiamondClean Smart Electric toothbrush with Bluetooth and app on sale for $159.99 after $40.00 mail-in rebate (regularly priced at $259.99). — Sonicare Series 2 dual handle with case on sale for $49.99 after $20.00 mail-in rebate (regularly priced at $129.99). Target: You’ll find select Sonicare toothbrushes and head refill at up to 50% off featured on page 35 of Target’s Black Friday flyer this year. Available in three exclusive colors, pick up the Philips Sonicare 2 Series toothbrush on sale for $34.99 (normally $69.99). Select 2-pack Sonicare brush head refills are on sale for $14.99/pack (normally $29.99/pack). Sale prices valid from Thanksgiving day, November 23rd, through Saturday, November 25th, 2017. Shop either online (and get free shipping) or in stores this year. Stores open at 6:00PM on Thanksgiving Day. Available while supplies last. Best Buy: Best Buy’s Black Friday ad that two Sonicare toothbrush deals featured this year. The first is for 50% off (model # not included) which drops the price down to $34.99. The second is for the DiamondClean Smart 9300 toothbrush on sale for $159.99 after $30.00 coupon. Shop the sale beginning Thursday, Thanksgiving day at bestbuy.com and in stores later that afternoon when doors open at 5:00PM (that’s on November 23, 2017). Available while supplies last. Macy’s: You’ll find the Philips Sonicare Series 2 toothbrush on sale at Macy’s for $29.99 after $10.00 rebate (normally priced at $84.99). They will also have 40% off plus an extra 15% off on top of that on all dental products (see site for details). Their sale begins on Thursday, Thanksgiving day, online and in-stores later in the afternoon at 5:00PM (Nov. 23rd). Bon-Ton: Bon-Ton has either both the Philips Sonicare Essence on sale for $19.97 after $5 mail-in rebate and the Series 2 on sale for $29.97 after $10 mail-in rebate. The sale runs from 11:00AM on Thanksgiving day through 3:00PM on Friday, or while supplies last (Nov 23—24, 2017). See Bon-Ton’s Black Friday 2017 ad for full details. Shopko: Shopko has two Sonicare toothbrushes featured in their Black Friday ad this year. The first is Healthy White model on sale for $69.99 (that’s $50.00 off). The second is the Plaque Control model toothbrush that’s on sale for $34.99 (that’s $35.00 off). You’ll also be able to pick up Sonicare Essence E-Series replacement brush heads on sale for $19.99 for a two pack (that’s $10.00 off). The sale goes live on their site beginning on Wednesday morning, the day before Thanksgiving (November 22, 2017). In stores the sale starts at 4:00PM on Thanksgiving day (November 23, 2017). Navy Exchange: Featured on page 24 of Navy Exchange’s huge 48-page Black Friday ad this year is the Philips Sonicare Series 2 Plaque Control electric toothbrush. After $10.00 coupon it comes out to be just $25.00. Colors available include Blue, Black, Coral, Steel Blue, or Guacamole (while supplies last). Offer valid Thursday, Thanksgiving day through Saturday (Nov. 23—25, 2017) or while supplies last. Stores closed on Thanksgiving day but will be open on Black Friday at 5:00AM. Just keep in mind that similar to AAFES, only active-duty military, reserve, and National Guard employees will be able to shop at NEX. Updated November 18, 2016: If Philips Sonicare tops your list of favorite toothbrushes, then you’ll have plenty of choices to save this Black Friday weekend. That includes on DiamondClean (with nifty glass cup charger), FlexCare Platinum, HealthyWhite, and 2 Series plaque control models. Kohl’s: You’ll be able to get 20% to 60% off all personal care items at Kohl’s Black Friday sale this year with some of the best deals of the year on Philips Sonicare. The sale officially kicks off at 6:00PM on Thanksgiving day when stores open their doors (that’s November 24th, 2016). However, most of their Black Friday deals will also be available online as well starting on Monday, November 21st. – Sonicare DiamondClean rechargeable sonic toothbrush or Flexcare Platinum Connected sonic toothbrush, your choice, on sale for $149.99 after $40.00 mail-in rebate (regularly priced at $259.99). You’ll also get $45.00 in Kohl’s Cash with either brush you buy, so your effective price with savings comes out to be $104.99. That’s a price that’s hard to beat! – Sonicare Series 2 Plaque Control dual-handle toothbrush set on sale for $49.99 after $10.00 mail-in rebate (regularly priced at $129.99). – Sonicare Series 3 gift pack with Listerine also on sale for $49.99 after $10.0 mail-in rebate (regularly priced at $119.99). – Sonicare Essence electric toothbrush (with two heads) on sale for $24.99 (regularly priced at $79.99). We’ve had this brush before any although it gets the job done, we didn’t like the head design that was prone to getting dirty where the head met the handle. We recommend speeding a few bucks more if you can afford it and getting one of the other models on sale this year. Target: This year Target is featuring the Sonicare Series 2 toothbrush in Target-exclusive colors on sale for $34.99 (normally priced at $69.99). You’ll also be able to pick up some extra brush head refills, the 2-pack is $14.99 (that’s 50% off). Target’s Black Friday sale starts online on Wednesday morning, November 23rd, and runs through Thanksgiving day, November 24th, 2016. In stores, the sale begins at 6:00PM on Thanksgiving day. Best Buy: Best Buy will pretty much have the same deals as Target: The Sonicare Series 2 electric toothbrush on sale for $34.99 (that’s 50% off) and 2-pack brush head refills for $14.99/pack (also 50% off). Shop Thursday morning Thanksgiving day, November 24, 2016, at online or in-store when then open Thursday afternoon at 5:00PM. Shopko: You’ll have two Philips Sonicare models to choose from this Black Friday at Shopko, either the Plaque Control model on sale for $34.99 (normally $69.99) or the Healthy White model on sale for $69.99 (normally $119.99). You can also save on Sonicare e-series replacement toothbrush heads on sale for $19.99 for the two-pack (normally $29.99). Sam’s Club: Head on over to Sam’s Club on Black Friday morning when they open at 7:00AM (Nov 25, 2016) to get the Sonicare FlexCare Sonic Toothbrush 2-pack for $99.88 (that’s $50.00 off). There is a minimum of 6 available per club store. Macy’s: Head on over to Macy’s Black Friday sale to get the Sonicare Series 2 rechargeable toothbrush for $29.99 after $5.00 mail-in rebate (normally priced at $84.99). Macy’s will launch their doorbuster deals on 5:00PM on Thursday, Nov. 24, (Thanksgiving day) when stores open (prices valid through 1:00AM). Then the sale continues when stores re-open at 8:00AM on Black Friday and will be valid through 1:00PM. Everything is while supplies last so if it sells out early then you’re out of luck. BJ’s: Clip the two coupons from BJ’s flyer to get $40.00 off on the Sonicare Healty White dual-pack and $8.00 off Sonicare Plaque Control brush head 6-pack. You must be a BJ’s club member to shop in-store or online. Coupons valid from 11/25-11/27/16. Meijer: This year Meijer is offering the Sonicare Series 2 Plaque Control Power Toothbrush on sale for $34.99 (save $28.00, normally $62.99). Offer available Friday-only, November 25th, 2016, while supplies last. Stores open their doors at 6:00AM. See their online store for details. Bon-Ton: Somewhere about half-way through Bon-Ton’s massive 90+ page Black Friday flyer you’ll find two Sonicare toothbrushes on sale. The first one is the Essence model on sale for $24.97 + a $5.00 in-store rebate (normally priced $60.00). The second is the AR Sonicare Series 2 electric toothbrush on sale for $29.97 after manufacturer’s mail-in rebate (normally priced at $70.00). Offer available all day on Thanksgiving Day either online or when stores open at 5:00PM. Walmart: Sonicare is not featured in Walmart’s Black Friday flyer this year but it’s still worth taking a look at your options to see what’s on sale. Their Black Friday event begins 12:01AM Thursday morning, Thanksgiving day (11/24), online and in stores at 6:00PM later that afternoon.